For my first Celebrity feature I had the chance to interview Singer, Song Writer and Cinematographer Michael Jeffries! 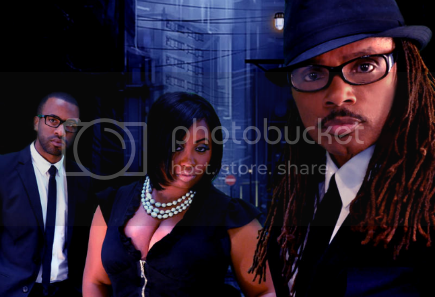 Michael Jeffries, respectively known from the popular R&B Soul group "Tower of Power" is back on the scene with a new album entitled “Family Affair” as well as a few other projects he’s got in the works. Check out my latest edition of One-On-1 with Michael Jeffries! You don’t know how much of an honor this is! Thank you so much for speaking with me Mr. Jeffries! I’m so excited about this! Thank you Ari, It’s a pleasure to do this interview. The pleasure is all mine I assure you! So, as you know I have a lot of questions for you! You’re the first celebrity feature that I’ve had as well as the first Artist from the “Old School” so I’m sure you have a lot of knowledge to drop on my readers! So for starters, when did you decide to pursue music, and what inspired your decision? Since I was just a young lad ( in Memphis ) music was always around, the radio was always on and the popular songs of the day provided the background and sometimes the foreground to everyday life. My uncles and aunts were teenagers and I lived my life looking up to them while trying to understand it all. This was the golden age of the Motown sound and the Memphis sound, it was an era when Radio Dj’s were stars and people would tune in to listen to what the top jocks played. With all the great music coming from Motown and Memphis I had plenty to grow on. But while watching Ed Sullivan I got a glimpse of what would push me into action, James Brown. That night on Ed Sullivan I saw something that would not allow me to sit still, I got up and started skating around imitating what I saw James Brown doing and I was his newest 8-year-old fan! With a mirror and a brush for a microphone I skated and hollered until my parents thought I was good enough for half time entertainment at some of their house parties! I would get so excited when I would hear them tell their party guest that I was really good at doing the James Brown. They would often come and get me to give an impromptu performance. I looked forward to those opportunities and I never shied away from the slightest request. All this James Brown craze lead me to the record store with my 50 cents to buy “ I Feel Good”. I played that record until the grooves wore thin! I thought I would die when my mother took me to see the man himself live at the Oakland Coliseum in 1966. James blew my top off and I haven’t been able to get it back on every since. Wow! That must’ve been awesome! I would’ve loved to have been at that concert! So obviously James Brown is a favorite of yours, who are some of your other favorite artists past and present? I am such a Stevie Wonder fan I could listen to his music everyday and not burn out on it. I was able to hang out with Stevie while he was recording Vocals, I thought I had died and went to heaven. The best thing about meeting him was finding out how down to earth he was, no superstar vibe at all. Really? That’s awesome! You would think that someone of his caliber would be totally celebrity! I guess there’s a lot of humility in the music veterans. Now, as far as your music goes what is your ultimate goal? What do you want your music to do for others? I like to write songs that send out messages. Just the other day someone was listening to the “Family Affair“ CD and they asked me, “ do you write from your personal experiences?" The answer is yes and no. We’ve all missed opportunities to say” I Love You” to those who really care for us. We have all wished for the ability to “Rewrite “ a situation that was miss handled. My music is speaking to that inner voice that lives inside all of us. I couldn’t ask for a better answer than that! That’s one of the main components missing in music these days. It’s really hard to relate to a lot of the mainstream, so thanks for bringing the original vibe back! With that said, what are your views on the direction of music these days? Well the most obvious difference is lyrical content in terms of using profanity. Man you would have never heard some of the words that are being used today. I do realize that every era has it’s art form and I can appreciate where music production is coming from now. Working with digital workstations brings a world of production power and creative freedom. I think the organic way of recording ( with the rhythm section all recording together ) still has it’s special place in production, if you’ve got the budget to do it. Today’s music has incorporated sample use into the art form and that’s cool too. It’s all art at the end of the day. Yeah, that’s true. I guess it all depends on how you look at it. Personally, I don’t have too much patience for all of the profanity because I think it’s unnecessary, but as far as the sampling goes, I can appreciate the creative aspect of it. So, Mr. Jeffries we all know you from Tower of Power, what are the major differences between being in a group, and being a solo artist? When you’re in a group the focus is on the group sound and may not allow you to explore other areas of music that might better represent where you’re coming from. Nicely articulated (lol). Alright, let’s get off of the music for a minute. If you don’t mind, I’d like to get a little more personal. I like to ask this next question because I always get a different answer. What changes would you like to see in society over your lifetime? Man it would be great to see the day when we don’t see color and just see people! Growing up in America can be a very different experience for some. It would be nice to see the day when that statement wasn’t true. The good thing is we as a nation have made considerable progress but there’s still much work ahead. Agreed! I can’t wait for that either! I know we still have a long way to go, but I believe that with God it’s totally possible. Speaking of God, are you a believer? I lean on God everyday for direction in my life. Simply stated, easily articulated! (lol) I’m not going to keep you much longer, I just have a few more questions. What has been your greatest moment thus far? I think when I became a father tops that list. Just being Dad is a major thing cause in the eyes of your "new to the world children," you are a super hero. To them Dad can do anything. To me that has been the greatest honor of my life. Beautiful. More young guys need to hear that, being a Dad isn’t an option it’s a gift and it should be cherished! Thank you for being a positive Role Model Mr. Jeffries. So, do you have anything big and exciting coming up in the near future? We are writing for the next video from the "Family Affair" CD, and producing a video for the song “ Rewrite” a duet with Lenny Williams and myself. I’m working with Sterlen Roberts on the video. Sterlen and I recently completed work on his newest video “Live”. We work well together, the energy is really good. I’m also promoting the CD daily and looking forward to performing. Cool! I featured Sterlen Roberts not too long ago! I love what he’s doing with his music! I’ll definitely be on the look out for your new video! I just have one more question for you, what is your greatest ambition? I just want to continue to grow. I’m a firm believer in never resting on what you already know but try to harvest as much knowledge as you can! That’s great advice! Thank you so much for your time Mr. Jeffries, I really appreciate this! Everybody, you know what to do! 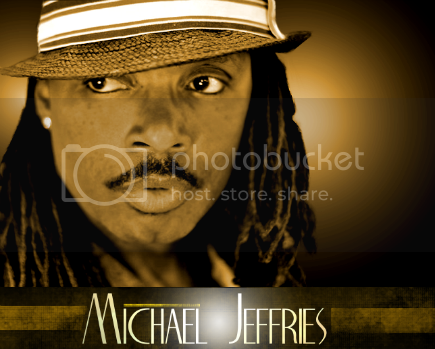 Click [here] to purchase Michael Jeffries' new album "Family Affair" and be sure to add him on Facebook as well! Check out "Don't Forget to Say I Love You" by Michael Jeffries! OMG! I Looooove this song! SUCH A BEAUTIFUL VIDEO AND A HEART WARMING SONG..........LOVE IT ALL !! This is sooo amazing, this song! "Don't Forget 2 Say I Love U" should be playing on the airwaves everywhere!!! Okay, I am wondering why this song isn't playing on the radio??? This song is so beautiful and the words very touching. Love it! Please, will someone put this song on the radio?!!! Don't let this song go to waste. Market, market, market!!!! Xenobia10 I've been a fan from TOP days.As a musician myself,I can't think of a more apropos time to say that M.Jeffries will change the landscape of what defines 'soul singer' today & what it means to be a good black man in today's terrifically trying times.Now if only I could find his facebook page to share this gift that is he!